Crappie.com - America's Friendliest Crappie Fishing Community > More Forums > Miscellaneous Forums > Fisherman's Memorial > In Memory of my Wife. View Full Version : In Memory of my Wife. She was my fishing partner, pal, buddy, and Wife. She passed away on Feb. 21,2011. She was one that was always ready to go fishing with me. She love to crappie and trout fishing.We had many wonderful fishing trips. I remember one of our first trips, she couth a catfish on a rod and reel, did'nt reel it in she just ran up the bank with the cat in towe. Mr. Clayton, I am sorry to hear of this sad news. I could tell from your posts regarding your bride's struggle, that she was your soul mate. Her running up the bank will be the sort of memory that few husbands have the privilege of sharing with their wives. Sharing a fishing trip with a buddy doesn't compare to sharing with a spouse. September will be 40 years for us, and fishing together has been some of our best memories. I don't have any words that could possibly heal what you must be feeling. My thoughts and prayers Sir. Mr. Clayton, I know your heart is broken and I will pray for comfort and peace for you. Certainly, for strength as well because you'll need that. You're already doing what you need to do for now, which is remembering the wonderful memories. God bless you, sir. It has to be rough. Prayers from West Tn. Please accept my deepest sympathy. I hope you can heal from your loss. I lost a relative to breast cancer which devasted me. One day I bought a pink ZEBCO w/ugly stik and found out that proceeds from my purchase went to breast cancer research. Every year, my first cast is with my pink Zebco to pay homage to my fellow brother and sister fisherman lost before their time. Your wife will be with my thoughts for my first cast. Prayers sent from my family to yours. my deepest sympathy for you brother, prayers for you and your family and be strong. So sorry for your loss Mr. Clayton. Mr. Clayton, I know exactly what you are going through. 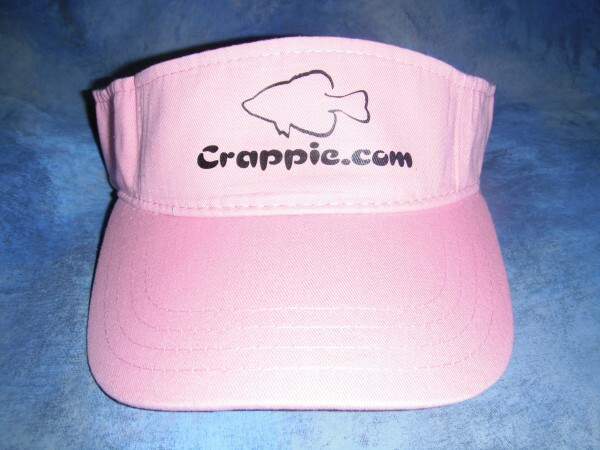 I my self lost my wife of 41 years on February the 7th., and this is the second time I log into crappie.com since then. Really sorry for your lost God blessyou and give you the stenght to go on. My heartfelt sympathy. My husband, who was also my best ever fishing partner, passed in 1996 just 3 days after an ice fishing trip. I'm sure your late wife will be at your side always. She would want you to keep fishing and will help keep your lines tight, I promise! God bless you and your family. So sorry for your loss. I am sure she will be with you whenever you fish from here on out.